"The power of seven become a league of one." 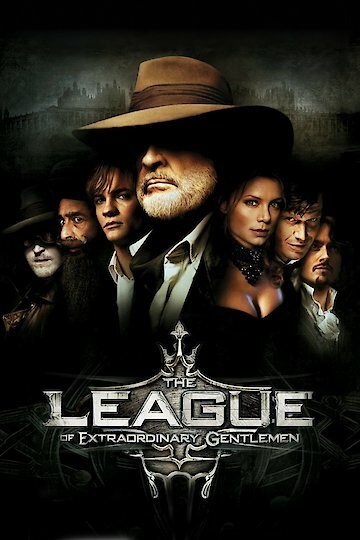 The League of Extraordinary Gentlemen is an action adventure and comic book adaptation of a film from 2003 that focuses on the exploits of the titular League, a group of heroes from various literary works who work together to defend the world of the 19th century from threats both near and far. After an attack on London's bank results in the theft of priceless artifacts, Sanderson Reed is sent to unite the various literary individuals in order to reclaim them. The people who heed the call include: Mina Harker, who has vampiric abilities such as blood drinking and control of bats; Allan Quartermain, a superior hunter and adventurer; The Invisible Man; Dorian Grey, who never seems to age; Captain Nemo, who offers his services as captain of the Nautilus; American Tom Sawyer as a raw recruit of the Secret Service; and both sides of Dr. Jekyll's personality, with Mr. Hyde serving as a massive beatstick for the League. The team eventually follows the clues to Venice, where a massive plot to begin an international war is brewing. New war machines, vampires, a major betrayal and even timed explosives planted throughout the Floating City push the team to its breaking point. The League of Extraordinary Gentlemen is currently available to watch and stream, download, buy on demand at Starz, Amazon, Vudu, iTunes online.